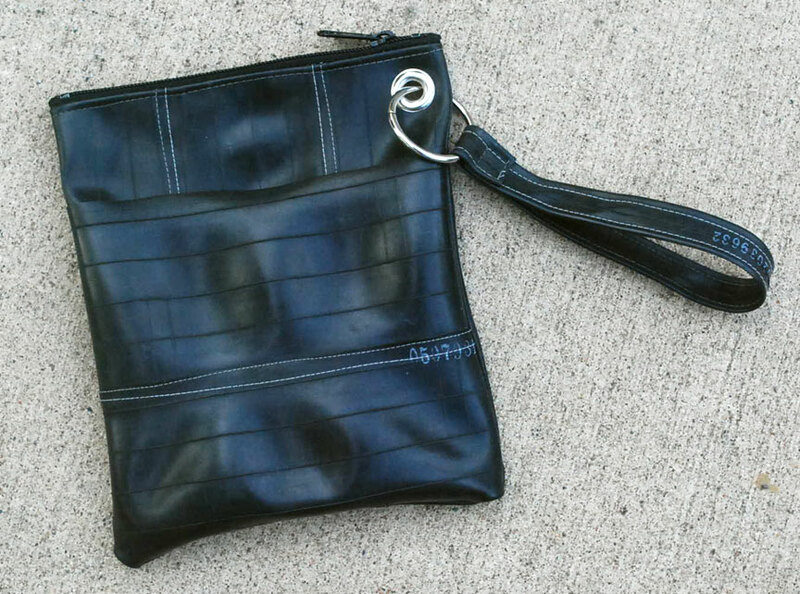 You are here: Home / Everything Rolled Into One / Fashionable Purses made from Bike Inner Tubes – No Bike Needed! 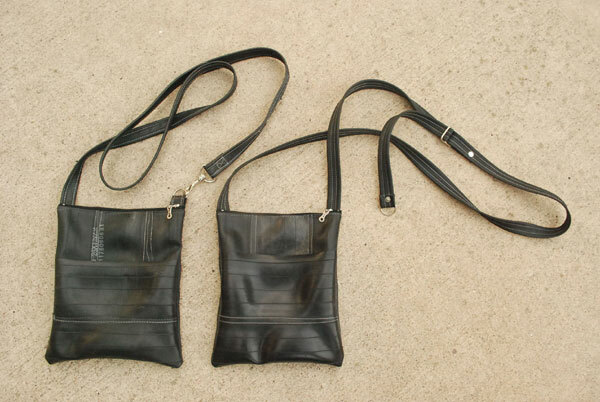 Fashionable Purses made from Bike Inner Tubes – No Bike Needed! 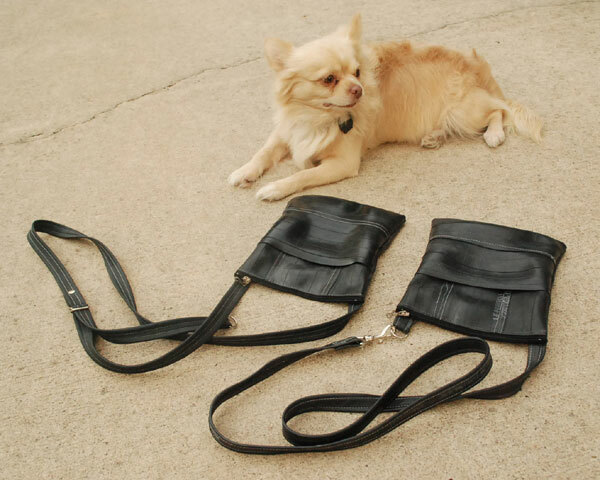 One has an adjustable strap, the other has the swivel clip so you can hook and unhook at will…if you’re into that sort of thing. Both have an outside pocket for stashing lottery tickets, secret notes, shopping lists and business cards. They are smooth, sleek and rubbery. And both feel darned lucky to be a part of the fashionable recycled, upcycled, vegan, do-gooder accessory world and not laying around in the landfill. They are smiling and they will make you happy if they end up resting upon your shoulder as you traipse around your world. I have them up on Etsy now! If you have questions, email me! They are priced at $39. For size reference…Caesar is 14 lbs of solid muscle, bone and fur. I just hope he doesn’t pounce on those poor, defenseless purses. I just put this Grommety Wristlet bag up on Etsy….it was obviously very cold and turning blue that day…or the color balance went terribly terribly wrong…sigh. I put a CRAZY low price on it so it’ll probably go fast. Have I gone mad? Hi Nancy, what you do is very cool and I am developing a product in Australia using diferent grades of inner tubes. I would like your advice on what kind of machine would be best to get for sewing the rubber together. I will be using both thick and thin rubber from trackor tubes to bike tubes. Thanks for your help Asher. I recommend using an industrial sewing machine. Also use a teflon foot. The rubber doesn’t want to slide under the presser foot so it’s a huge help. Good luck!